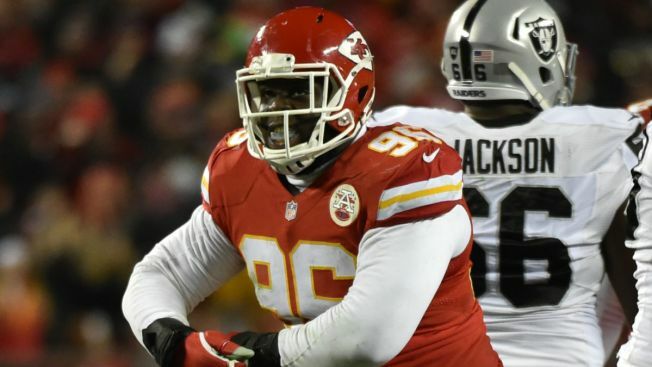 The Chicago Bears have added some more depth to their defensive line, as they've signed free agent lineman Jaye Howard to a one-year contract. Howard, a fourth-round pick of the Seattle Seahawks in 2012, has spent time both with Seattle and the Kansas City Chiefs, starting 28 games and appearing in 45 total over his five seasons in the league. In his career, Howard has made 122 combined tackles and registered seven and a half sacks, with most of his success coming with the Chiefs after playing just one season for the Seahawks. With the deal, Howard joins a crowded group of Bears defensive linemen, but the team will be hoping that he can find similar success to what Akiem Hicks experienced when he came over to the team on a low-cost deal. Hicks came into his own during the 2016 season, registering 54 tackles and seven sacks after joining the Bears as a free agent.